I'm very interested in prime lenses, but this one will not be on my wish list. Yeah, luckily Pentax primes are better. Actually Pentax Limited primes are WAAAY better. And I shoot Nikon. I never listen to sales people especially when they lol. Looks nice but not really impressed. My 30yr old Pentax M 50mm f1.4 albeit a manual lens looks sharper at 1.4 and produces as creamy bokeh and bought it like new for just US$100. As like what somebody already posted, the 50mm f1.4G looks like a like a bargain compared to this. I use the same lens, maybe even older (it's a Pentax-M) which I've used for at least 30, probably closer to 40. It's had a rough life, what with the front element's coating wearing off in spots and some scratches and even gouges on the surface. Nonetheless, it's hugely sharp when stopped down beyond f:2, anyway. It and a Tamrom 90mm macro may be the sharpest lenses I have ever used. Though the old 135mm F:2.5 is up there, too. After reading this review there is only one question to ask - Why Nikon made this lens so expensive ? If it were as good as the Zeiss 55mm Otus, would you think Nikon right to charge $4000? And I don't particularly like this Nikon lens, and think the $725 Zeiss 50mm 1.4 much better, but I see what Nikon is trying to do and acknowledge that some people would pay good money for that bokeh. The Otus is also sharp(sharpest normal lens so far) in addition to the ability to produces creamy bokeh. It is also very sharp wide open. So I don't think this Nikon is even comparable. Otus set a new standard(unfortunately very expensive and manual focus only). I'd bet the new Leica M 50mm F2.0 is sharper than the Zeiss Otus. Just saying. It's Nikon. So there will always be apologists. Always. No matter the price, there will always be something, somewhere (in this case the completely unrelated Zeiss lens) that costs more, making Nikon's offering yet another bargain. How is a 55mm 1.4 Zeiss MF lens "completely unrelated"? More pricey yes. I never though the 50/1.4 is a particularly great purchase, but now it seems like a bargain within the Nikkor brand. Maybe that's the purpose of the 58. To sell the 50/1.4 by showing how cheap it is compared to other overpriced Nikkor stuff. This shows what people expect from a premium 1.4. "Maybe that's the purpose of the 58. To sell the 50/1.4 by showing how cheap it is compared to other overpriced Nikkor stuff." Sorry to say but i tested this lens you should test it your self at 1.4 on a high contrast target like a focus cart with bright light on it ,there was way to much modulation transfer, the 50 1.8 G lens is a much better lens at 1.8 thats you best bet , the 58mm 1.4 is a real peace.... of doo. That... makes no sense. The words you are using do not mean what you apparently think they mean. What other Nikon lens displays focus accuracy problems except the 50 1.4G ? Which I have and I'm pretty happy with. This lens seems to have gorgeous bokeh, I'd save just for that. If they would have corrected the lens so that it would behave perfectly, they would have ruined the bokeh, I bet ! So a little softness might not be the end of the world. Really? "if they wanted to deliver a lens that was also really sharp wide open" Why pay more then $100 for a lens like this? Why can't DPreview pan a dud? A 50 /1.4 is not very fast, either. 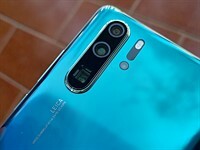 And this comes from the company that brings a 36mp sensor to market without AF able to accurately focus to take advantage of all those pixels. Try to capture the decisive moment with live view contrast detection manual focus, Good Luck! It's just a plain ripoff. suddenly the Sony Zeiss FE 55 1.8 looks like a bargain. , this lens is about character, no sharpness. A Nikon having focus accuracy issues- big suprise lol. You mean like a decade of front/backfocus issues from Canon? They've both had focus problems. The difference is that if you have a focus issue with Canon, it's a problem. If you have it with Nikon, you're blowing things way out of proportion. You're exaggerating. 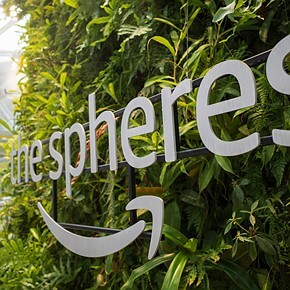 BTW, where did they get all those refurbs from? 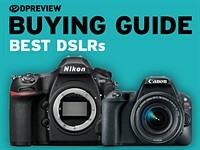 Nikon continues the tradition of good, but absolutely insanely overpriced products. Whenever they realize they have something interesting on their hands, they think it's fine to charge an arm and a leg for it (see N1 or D3x for example). It's been a while since any photo company was so out of touch. The bokeh is nice, I like it. However lenses as (un)sharp as this one are easy to have good bokeh, as seen in a ton of older lenses. It's more difficult to have both good sharpness and nice bokeh. For $1700 one would expect that Nikon tries harder. 1. Post a manufacturer's response to the review: as in- send the review to the mfg and get their take/retort on the review. 2. Give said reviewed camera/lens to a pro photographer- basically a 'Stig' like on Top Gear, to show what the product is capable of in the hands of a pro. (Most pro's would be happy to do this for free, soley on the fact that it's awesome free advertising for their name). both of these ideas are free of charge- Happy new year! I seriously doubt DPR is allowed to just "give" a review lens they don't actually own to a "pro" photographer to go take test shots with, much less that a "pro" photographer would have the time or inclination to do so. Here's an idea for those who wanna complain about the sample shots and lens tho .... Go rent one yourselves, shoot with it a week, and then come back and post your link here so those of us can see what a remarkable photographer can do with this lens. It's a great idea. But since Nikon usually doesn't acknowledge problems, how could they respond? btw. if you want a nice bokeh with similar sharpness on the cheap, you can adapt a $30 55mm SMC takumar for M42 mount. The main downside will be chromatic aberration, but at 55 times less money it's hard to complain about that. I don't think you can use M42 lenses on Nikon F comfortably. By adapting do you mean swapping the bayonet? Yes, m42 on Nikon mount requires correction lens, otherwise cannot focus to infinity. Also smc takumar will not work on conversion mounts (it will get stuck), you will need super takumar but then most of the 50/1.4 super takumar nowadays suffers from yellowish inner elements (oxidation?).. That's true, there is this 1.04mm flange focal distance difference. I forgot about that. That's too bad, this lens is very impressive, especially for the price. I had much better luck with it than with a couple of 50mm F1.8 nikkors. That being said, it should focus close to infinity, since the M42 adapter can fit inside the mount, at least for Pentax. It could work fine for portraits within a few meters of a range. The 1 got dropped before the 3. Nice review and interesting results. I'd be tempted to get this lens, but I have an AF-S 60/2.8G Micro-Nikkor which I suspect is close to producing the quality and bokeh of this lens. "Very hazy indeed." Silver Award. Are there any bokeh comparisons with the Sigma available? AFAIK, it had the best 50 mm bokeh until the Nikon arrived. Nice lens. Wouldn't mind having one. But with the performance/pricing Sigma is coming out with (and most recently, Tamron), it's really hard to justify the price. The sharpness is only bad when you don't consider how superb the bokeh this thing produces is! Thanks for the review as I found it to be very informative! 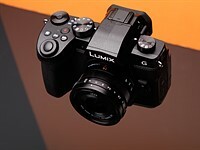 Even though we can always say "sharpness is not the only thing that matters" - still, a $1700 lens with poor sharpness? Does it get better stopped down? yes, but for the price, IMO, not good enough. I tried it for a day and my first thought was the awful plastic build. Yes, it produces 'unique' rendering, but the fair price should be $700 less. 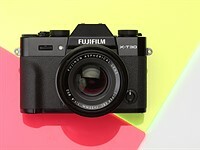 According to the Sam Hurd review below, the 58 f/1.4G is metal. It also has much, much better bokeh than most other fifties, not to mention high color/contrast that you'd expect from a professional grade Nikkor. Wide open the Leica Noctilux isn't exactly sharp. Costs a bit more too. And yes a good bit sharper than this Nikon. And that Nikon lens sure doesn't feel like a plastic body. @HowaboutRaw you know the Noctilux is a good bit sharper than this Nikon because you've tested them? Please tell us how you mounted the Noctilux on a Nikon body. Or are you just making general assumptions? As you may know it’s not possible to mount M lenses on a 35mm SLR body. However I’ve shot with the current Noctilux on a M240 and then shot with two examples of the Nikon 58mm on a D800 (guess that the D800E would have been a tad sharper). And this Nikon lens just isn’t particularly sharp. The Noctilux is when stopped down a bit. There now the information is “online”, you can believe or live in the land where one can mount an M lens on a F mount DSLR body. The Nikon lens has nice bokeh, not great colour though. And it’s not a colour problem that can be fixed with PhotoShop/ACR. The physical appearance and design are important, but the practicality and usability all around is even more and more important! I'd like to see a real world images comparison between Sony A7R + Sonnar 55/1.8 and Nikon D800 + Nikkor 58/1.4G. look at the MTA graphs of the 55mm on slrgear and your question is answered. 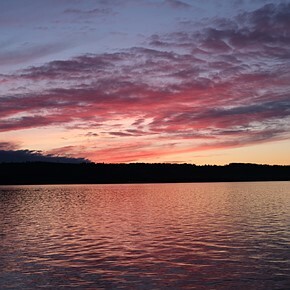 Here's a nice mini review from photographer Sam Hurd with samples images. To try and move away from Leica, one needs a f1.4 50mm lens that's sharp at f1.4. It seems that Leica is the only game in town with a well run second of the excellent Canon 50mm f1.2. Of course the Canon 85mm f1.2 is sharp at f2, and the Olympus 75mm (150mm) is sharp at f1.8 and the Nikon 85mm f1.4 is sharp at f2, but 50mm is that unique combination of a less claustrophobic view with thinness of field which can capture an artistic ideal for many types of photography, people and objects. Sadly this is not the Nikon equivalent I was hoping to mount on a 610 or 800E. Don't think the 0.95 Noctilux that sharp wide open--great colour though. Right, the $7300 50 f/2.0 M is very sharp with excellent colour. But if you already own a D800E, why not try out the Zeiss Otus 55mm? Or is it that the 5mm turns the lens into something you don't want? 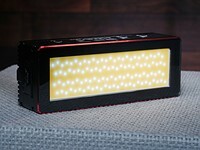 The A7 does NOT have a curved microlens array in the sensor plane. So it is simplistic to say one can just substitute a different full framed mirrorless body for the Leica, best if you're going to go with a substitute to use an APSC sensor body to avoid vignetting. But then there are other compromises, like the 50mm lens is now 75mm. 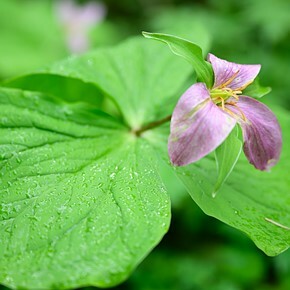 I wish they would just update the 50mm f1.2 AIS lens into an auto-focus G lens with nano-crystal coatings (to slightly improve the image quality) with the EXACT SAME optics in all other respects. That would be AWESOME. Of course, maybe they already considered that, and they decided not to mess with a good thing (they already have the 50mm f1.2 AIS, and it works great). This lens certainly gives people more choice, doesn't it? Correct me if I'm wrong, but I didn't think Nikon's lens mount would allow an AF lens faster than 1.4 (hense why there isn't one). I am no expert on lens mounts, but I don't see how the mount has a significant affect on the size of the aperture in the lens. Isn't it the lens barrel diameter in relation to the focal length of the lens that limits the aperture? Here is another point: If the mount allows for an 85mm f1.4 it must be "big enough" to allow for a very large opening in the lens aperture (approximately 60mm in diameter I believe), so a shorter focal length lens like this new 58mm lens could be made with the same ability, making its aperture to focal length ratio greater. In fact, it could be an f1.0 lens, if it were to open up to just 58mm instead of 60mm, but apparently the aperture in this new lens doesn't open up as wide as the aperture in the 85mm f1.4 G. I wonder why. Please educate me, if I am wrong about this. A link to some educational material would be great. To Scottely: You must distinguish between front pupil and rear pupil. The front pupil is detemined by focal length divided by aperture, so a 200mm f2 lens is 100mm (big!). Rear pupil is almost 100% dependent on aperture, not focal length. So a 200mm f2 and a 24mm f2 have rear pupils about the same size, and thus require about the same amount of mount diameter. All this is a simplification, but it is an easy way of describing things. So as aperture, not focal length, is the important parameter at the rear, there is a limit on how large an aperture can be handled by a particular mount, irrespective of focal length - limited by the mount diameter in conjunction to its distance from the sensor. Most mounts are limited to around f1.2, inlcluding the Nikon mount, but Nikons electrical contacts gets into the way for f1.2, unless you cheat by letting them cover a little of the rear lens. 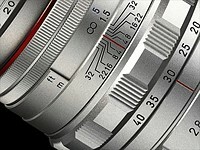 Canon does the same for f1.0, the contacts sits on a platform over the edge of the rear lens. I don't buy your answer Jan. Sorry. If Canon makes an 85mm f1.2 auto-focus lens, why can Nikon not make a 50mm f1.2 auto-focus lens? Is there THAT much difference in the diameters of the mounts? (more than 30%?!?) I don't believe there is. Besides, Nikon makes an auto-focus 135mm f2 lens. It must have a REALLY big rear pupil, I guess. From what you are saying, the same size pupil at the rear of the lens in a 67.5mm lens would be big enough to allow an f1.0 aperture, would it not? Also, why is an 85mm f1.4 possible, but a 50mm f1.2 not possible? I mean if the rear pupil of the 50mm were the same size as the rear pupil of the 85mm f1.4 then it should be able to have a larger aperture ratio, right? I'm sorry Jan, I did not catch what you wrote about the rear pupil being the same size in a lens with the same aperture. That is wrong though. If it were right, the rear pupils of the Canon 85mm f1.2 and 50mm f1.2 lenses would be the same. They are not. I just did a little research. 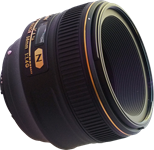 I looked at photos of the rear pupil on Canon 85mm f1.2 and 50mm f1.2 lenses (at B&H). I see there is a big difference in the two. This makes me think that if Nikon can make the 85mm f1.4 G work, they can make a 50mm f1.2 G auto-focus lens too. I wish they would. I'd also like to see a 45mm f1.0 lens, but maybe THAT would be impossible. Certainly a 45mm f1.1 would be possible though, and that would be pretty cool. Since the 50mm f1.2 AIS fills a need for a super wide 50 for now, maybe Nikon should make a 45mm f1.1 G. How cool would THAT be . . . if they make it sharp and good, of course. I'd also like to see a Nikon 24-90 f2 VR, even if it costs $3,000. Scottelly you need to view the rear pupil with the eye approximately where the sensor is - everything else doesn't make sense - photos of the rear pupil are from far away, and will show wildly varying sizes. Put your eye close to the rear of the lens, and the f/1.2 pupil will look nearly the same both for a 50mm and a 85mm. And yes, the Canon EF mount is substantially larger, so that f/1.2 is easy, and f/1 is just possible. Furthermore, the smaller Nikon F mount is further from the sensor (enough space for a Nikon->Canon converter ring), making things even worse. this lens should not have gotten 84%. The rating is absolutely ridiculous. In the sharpness test, the 50mm F/1.4 is sharper at most, if not all F stops. Plus, it's between 3-4 X as expensive as well. The most i would give is a 60%. As a Canon shooter myself, i can get a faster and better lens for less money and im sure Nikon users can as well. This is a better lens than the 50 f/1.4G, hands down. Sharpness is but a tiny part of photography. This lens has professional color/contrast that high end Nikkors and L lenses are known for, great bokeh (dramatically better than the other 50s), and a solid metal barrel professional build quality. I agree. In terms of the previous comment, sharpness is not everything, but you can always scale it back, never add it in PP. Lots of wide open samples here. At close range at max aperture there is tons of detail from this lens. Like the 50 f/1.8 and f/1.4G lenses, 1 or 2 EV from max you'll have all the sharpness you'll ever need. But this lens had much better color/contrast that the two other current Nikon 50s. If you really want professional build quality, great bokeh and all-metal construction, you can get a 50mm 1.2 AIS for $700, or $500, gray. No AF concerns, either. A MF lens is superior because "no AF concerns"? Is that like how a wheelbarrow is superior to a car because "no engine concerns"? If the wheel barrow can run at 70 MPH for 3 hundred miles, and carry four people, and requires little more effort to use than a 4 passenger car, sure then one could easily go with the wheel barrow, may even be "superior". That manual focus 50mm 1.4 Zeiss sure has better colour than anything from Nikon, not the sharpest lens. You must really be smoking something good, "Joe", if you think these photos are any better than can be produced by a run-of-the-mill 50mm/1.4G. I would compare the colour error and sharpness with the 50mm f/1.4 and then figure out if the extra $1200 is worth it. Seems like for what they are charging, they could make a lens that would peak in performance around f/4.0 and not f/8.0 like any run-of-the-mill $300 prime. Costs $1699 Today £1 = $1.59. $1699 = £1068 Nikon uk screwing the British to the tune of £630 Absolute pi** take, shame on you nikon. As a night shooter the coma wide open is simply too much to justify the cost of this lens - was expecting better for the price. I also wonder why Nikon chose to release this lens now when not that many will be sold and there are so many other primes that need updating that a lot more people will buy. 1. Stop down and be happy that you have noise performance that was unheard of 5 years ago. 2. Stop down and shoot a longer exposure. 3. Stop down and shoot multiple shorter exposures and blend in post. In fact the Otus is so expensive you can buy *two* sets of bodies, tripods, lenses, and fire them off side by side at the same time and blend for lower noise just to be utterly absurd and still come out ahead in $$$. Plus DPReview clearly shows that regardless of the $$$ difference, if you want star bursts you need to stop down regardless. That Zeiss Otus is a good bit sharper, better colour subtlety too. Yes, I've shot some test shots with both. I've had this lens on my D800 for some two months now (I'm actually on my third sample now, which front focuses a lot less than the first two), and it is by far the best portrait lens I have ever used. The 58mm focal length is actually great for head and shoulder portraits, and the rendering can not be described in a graph. Colour, contrast, bokeh, transition from in focus to out of focus, all have a quality that is very special. It is not extremely sharp, my sample still has a bit of front focusing so I should do some AF finetuning, and it is not a very practical walk around lens. It may have very special rendering, but if customers have to go through three copies of a premium lens just to find one that doesn't front focus too much, there is something lacking in Nikon's QC. This doesn't give me any confidence to purchase one. The bokeh defocused images of lights at the edge of the field are still comatic (oval), like the 85mm f/1.4. It gives the illusion of a spinning movement, which is kind of distracting. Out of focus lights should be round. This is caused by vignetting and therefore can’t be avoided with very fast lenses. Before theorizing on this lens, I would urge everyone to see the below image set from this lens. This lens has about the creamiest bokeh of any normal lens. It is absolute butter. And like all N coated Nikkors, color/contrast is extremely high, something that these kinds of "tests" don't always tell you. Clearly for professionals wedding shooters, portraitists, and general shooting, this lens is a no-brainer. Anyway, in case you haven't seen these, have a look at this set of 58 f/1.4G images from Joe Marquez that he made in Hawaii. Lots of wide open portraits made in this set, and they look terrific. "This lens has about the creamiest bokeh of any normal lens. It is absolute butter." Creamy? Yes, absolutely. Creamiest ? No. I've seen creamier. "color/contrast is extremely high, something that these kinds of "tests" don't always tell you." Contrast can be measured - that's what MTF is for. As for color, although lens design has an effect on the final result(how it manipulates certain range of wavelengths), other factors also contribute something - like sensor's color filter array and most importantly, post processing. True. Very smooth. I really like it. Looks like it suffers from the Nikon's usual soap-smudged images wide-open. When I first saw that, I thought the 50mm F1.8 was broken. Other than that, looks like a nice lens. It seems better for real world use, than for photographing test-charts. you can still buy the 58/1.2 Ai-s which IS sharp wide open AND it does very plesant bokeh. Except it is going to cost you $3K for a used copy on ebay. 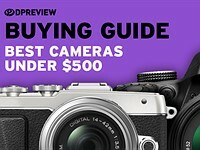 I think dpreview reviewers should have thrown that one in as well, as it is still cheaper than the zeiss, yet faster and a better than its modern counteract. I understand Nikon says they cannot make a F/1.2 lenses with AF these days since they won't fit inside the F mount. Too bad. 58/1.2 Ais was a quite special lens. Nikon do have a few AF-S 50/1.2 patents, so I don't think nikon would put them out there if it was an impossible lens. Nikon made it 1.4 because of better quality wide open, and 1.2 is just 0.3 stop away, not that much. The 58/1.4 is also just as sharp or sharper than the 58/1.2 noct. The 58/1.4 also have better coma control and better colors. Actually that is not true. I made the mistake of thinking the old 50/1.2 manual focus lens is great and bought it. It sadly isn't. It's not anywhere near has sharp wide open and the bokeh is not pleasing at all. Yes it's very blurry but the bokeh (=quality of the out of focus areas) is not good. Manual focus is also a huge issue. Even on a full frame camera with a great viewfinder you have trouble nailing focus at f/1.2. A well performing AF is not a bonus but almost a must for wide primes. Most AF 50 mm lenses I tested (Sigma, Nikon, Canon) all had a slightly disappointing hit rat on focus. The 58mm has the highest keeper rate (in terms of nailing focus). 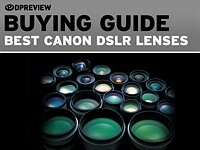 Most amateurs will never afford it, & most who berate it will never afford a lens half this price; so it's a moot point. Are you joking? Amateurs will never afford it? What fantasy world do you live in where pro photogs must have the highest levels of disposable income? I'm sure the cream of the crop earn a decent living, but hey the cream of the crop basketball players or golfers earn a lot too. 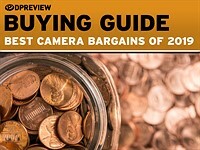 Large sensor cameras, wide aperture lenses are *marketed* to amateurs. If all photographer gear was resigned to only 'pros' the entire market would instantly evaporate into fumes. Do the news of more and more publications eviscerating their photojournalist staffs completely escape you? The fact that 'pros' can make a decent living marketing themselves and selling workshops to amateurs show that you have no idea what the market demographics consist of. Hmmm...read the comments and I want to pipe up and say "nice review!" You dance around the issues because they might in fact not be cut and dry, and I like that. The info is given, the comparisons great (though throwing in the Otus would have made a LOT of sense here). Much appreciated! As DXO have already tested the Otus I see no reason for not having done so - except that it would be embarrassing I guess. The 60 Micro also acquits itself well against the Nikon 58mm too. This is a lens for pros that wants the special look it provides, for the same reason Canon photographers gets the very expensive 50 1.2. 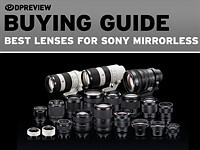 Of course it seems overpriced for lot of people, but they are not the market for these kind of lenses. That is correct, but even pros will struggle with the focus issue. Oh please...wide open performance is not only for 'Pros' but some holy grail of gratification for gearheads with plenty of money and it has *always* been this way. When people shot film, pro's typically never went nuts about wide open performance because the likelihood of getting an unusable OOF shot is too high. Digital has changed things but lets be real, the amount of cliched terrible amateur wide-open shots taken with this lens will probably exceed the amount of professional paid for images taken with it. Very confusing review.... you guys generally gave it a luke warm review with a few stand out performance points like bokeh and coma, then proceed to give it 84% and a silver award?? By the sounds of the review, it's good for one type of shooting, wide open, portrait distance and in the evening. Seems like a very specialized lens for $1700. From a consumer perspective, as a Nikon users, it just doesn't make sense to spend that kind of money for limited use. Although if Bokeh is the only reason, then perhaps it is worth the extra premium, but experienced shooters will tend to be at F/2 where it appears that the 1.4G is still the value choice. For a new consumer, the difference of buying a D610 + 58 vs a D800 + 50 (or even a Dƒ +50 ) becomes a pretty obvious choice for value and image quality. The score you folks put out there make sense if you're that tourist on the ski hill that goes to the shop to buy new gear and has no experience skiing.
" The score you folks put out there make sense if you're that tourist on the ski hill that goes to the shop to buy new gear and has no experience skiing." The review is more than just the score. There is plenty of discussion of the lens' real-world performance characteristics in here, and a full samples gallery for you to make your own mind up based on the images. Here's a link to 145 58 1.4G snaps - as mentioned, night shots bring out the best. I am using this lens with D800 and D4. I got so many pictures out of focus that I thought that something is wrong with my lens. I placed a question in the DPR forum about it. In this excellent review I got the answer. When the focus is OK, the pictures are just beautiful thanks to attractive background blur. Is it worth the 4x the price of the 50mm 1.4 lens? Absolutely not!! If Nikon can do something in software to correct for the focus issue, then maybe. Open the camera manual and find the section that explains AF micro adjust. If you've never used it, then it's not worth the money. If you've used it, it's still not worth the money, but you have to use it at night wide open to really know what this lens is all about. The Nikkor 50 1.4G like the Canon 1.4 is not usable wide open with light sources at night due to coma smear. However lets assume you want to nail a certain exposure duration at night...it becomes a possibility to stop down (which may make the image better anyways in terms of DOF or star bursts), and apply multi-shot NR in post to have same effective noise performance (at the cost of capturing more scene movement). So like many things you are paying a premium for *single* shot wide open performance (because you can always stop down at night and take a longer exposure, or reduce ambient light bleed by taking multiple exposures of shorter duration and blending to reduce noise). Right, you keep on repeating that to your self, after enough times even you might believe in it. I don't have to. I've actually used it to know what I'm talking about. I wouldn't actually buy it for myself, but there are people who will have a proper use for it. in my opinion. my strong opinion there sample was not focusing perfectly on the d800. the d800 is notoriously difficult to nail focus in my opinion. on both my d800's even -20 didn't get the af where it should be. on the df -2 and it is razor sharp at 1.4.